Democrats lost seats but retained control of Congress and narrowly won the presidency after the 1960 elections. 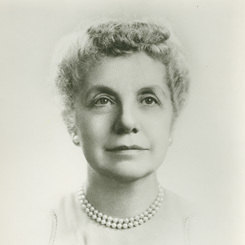 The House added seats to its Rules Committee, the effect of which enhanced the leadership’s powers and reduced an obstacle to social reform legislation. The 87th Congress (1961–1963) established the Peace Corps, which sent American volunteers overseas to provide technical training; provided the first federal assistance to mass transportation; and strengthened the Food and Drug Administration’s regulatory controls. Sam Rayburn of Texas died with the record for longest service as House Speaker. 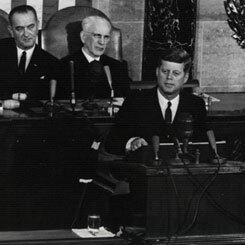 During the 87th Congress (1961–1963), President John F. Kennedy delivered his first State of the Union Address before a Joint Session of Congress. 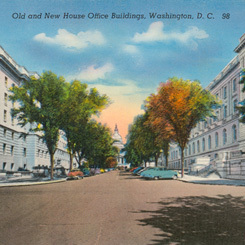 The House Office Buildings were named to honor three famous Speakers of the House: Joseph Cannon of Illinois, Nicholas Longworth of Ohio, and Sam Rayburn of Texas. 2Elected Majority Leader on January 10, 1962, at the commencement of the 87th Congress, 2nd session, to fill the vacancy left when Majority Leader John McCormack was elected Speaker. 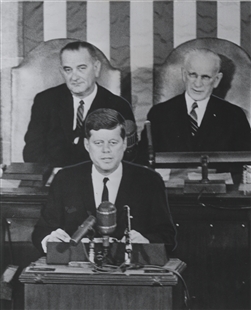 3Elected Speaker on January 10, 1962, at the commencement of the 87th Congress, 2nd session, filling the vacancy caused by the death of Sam Rayburn. 4Died in office, May 31, 1963. Caucus chairman post vacant until January 21, 1964.